Vít Dostál is a research director at the Association for International Affairs (AMO) in Prague. The White Paper on the future of EU elaborated by Jean-Claude Juncker and his team last week offered five scenarios for the future development of the EU integration project. Visegrád was able to write a joint text that shows shared concerns. However, it is important to remember that different views on the future development exist within the group. Juncker´s White Paper comes at the right time. Europe stands at a crossroads and it is important to realize that there are various directions that can be followed. The text of the Commission offers five scenarios: carrying on; nothing but the single market, those who want more do more; doing less more efficiently and doing much more together. These alternatives clearly show that there are more options than federalisation or the end of the EU on the table, contrary to what many expected amidst the hysteria after the British referendum. Visegrád came with its response (more likely by coincidence than intentionally) the very next day. It is apparent from the joint declaration that Poland, the Czech Republic, Slovakia and Hungary do not want federalisation, nor a return to only the single market, and that the emergence of the multi-speed Europe is particularly undesirable for them. However, this is where the Visegrád consensus ends. The Czech Republic and Slovakia against Poland and Hungary? The first scenario of the Commission´s menu – also known as “Bratislava plus” – is optimum for the Czech Republic and Slovakia. In the spirit of the Bratislava Declaration from September, the EU would focus on the progress in certain areas such as asylum and migration policy and the digital agenda, but would not enter riskier businesses such as a transformation of the EU budget. On the other hand, we can read from the behaviour of the Polish and Hungarian statesmen that they favour the variant in which the EU would focus just on certain areas but would work more efficiently. 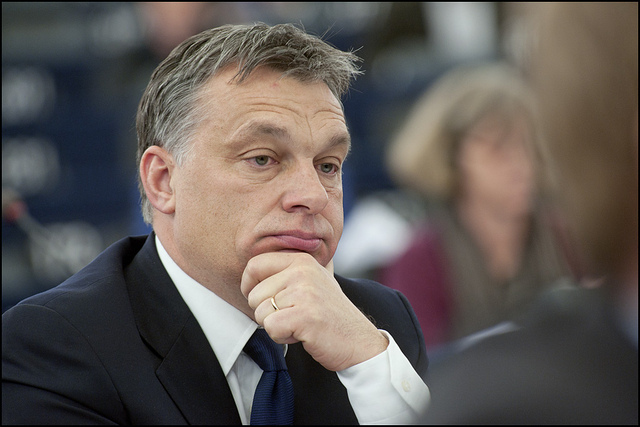 Neither Viktor Orbán nor Jarosław Kaczyński think that EU should interfere in social policy. However, they support the European team in the protection of the bloc’s borders. The main observation from the Warsaw meeting is the fact that the Visegrád leaders focused more on the institutional aspects than policies that the EU should develop. Conversely, in Juncker´s text, the word “institution“ is hardly to be found. Regarding the capacity to deliver, the Commission operates with the term “decision-making“. In this regard, the Visegrád message is very defensive. Prague, Warsaw, Budapest and Bratislava express their concerns about creating exclusive clubs, they demand the equality of member states and they want to involve national parliaments more in the political process that would control the subnational institutions. The text adopted by the prime ministers of the four countries is therefore a common denominator of a very low value. That is why it can become a good basis for the Rome Declaration on the future of the EU which is to be adopted by the member states by the end of the month and which will undoubtedly be a product of the true art of compromise.